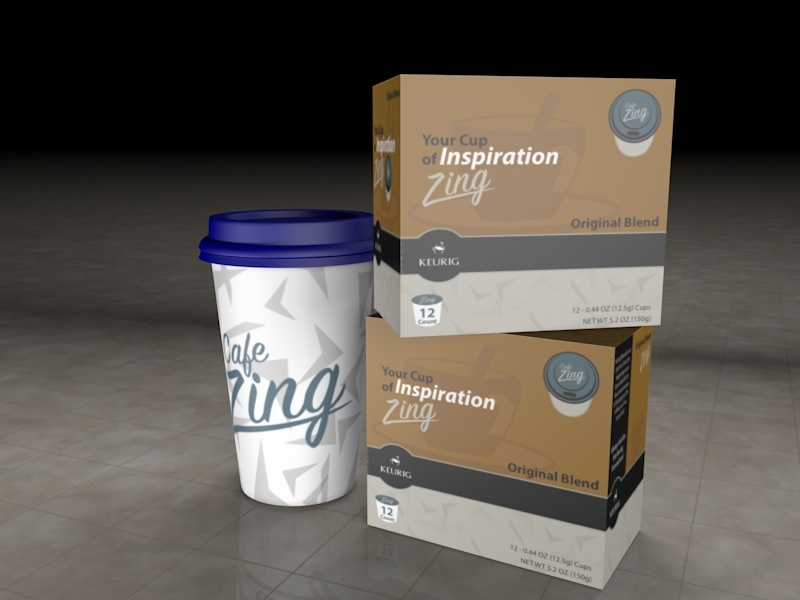 Redesign Coffee shop Branding, Package design, and Environment. By making the shop appealing to a new demographic and making it customer friendly. 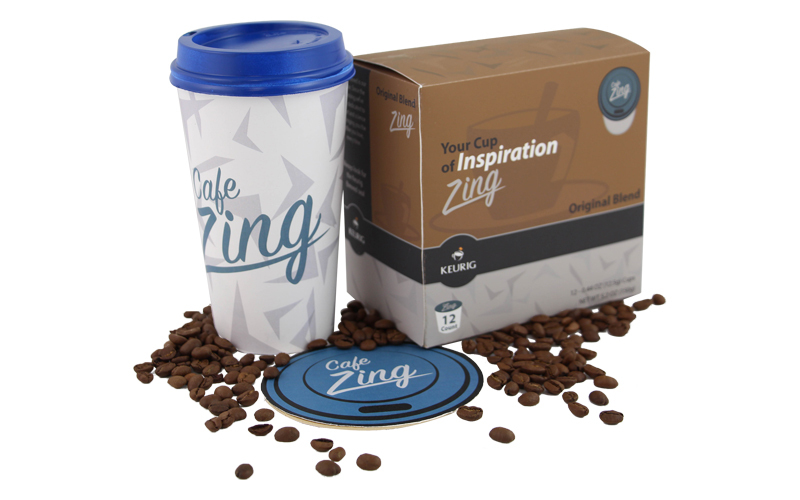 The redesign of Cafe Zing was centered around the affordances that best suited the Zing community. Some of these were the menu , the location, and even just the customer’s satisfaction. 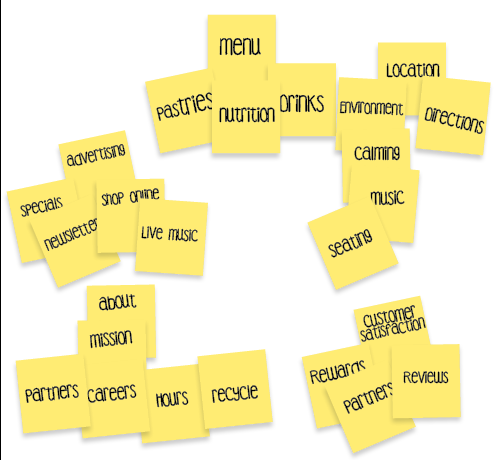 Now taking each affordance I broke them down into their sub – categories. Being close to Harvard Square, I knew there was a potential to attract a lot of college students. This inspired me to make the cafe hip and trendy. But I had to keep in mind that the bookstore puts a fair amount of emphasis on “The Children’s Section,” so I decided to also make the cafe family friendly and appealing to not just college kids. Using all that information, the designing stage began. I revamped the logo and gave it a modern feel. Then I took persona of the shop with all the textures and colors that we thought would give it that trendy, but welcoming feel to the website. Once the website was completed, I realized that we could make the shop even more user-friendly by building a game into the site. I wanted to give the site a gamification which would bring in the college students, but not leave out the families who were part of our target market. So I created Zing Stars. This program encouraged students young and old to push for better grades. 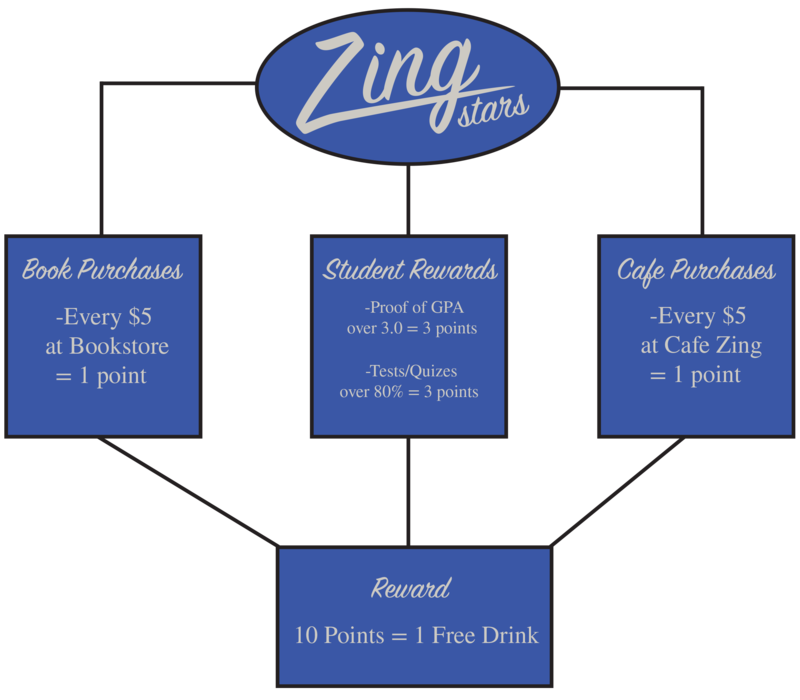 By doing so, students could bring in their test that they had earned a score of 80 of higher and receive a free beverage. Also, they would have the option to have their picture and test placed not only on the wall in the shop, but on the site also. The last part of the gamification was that it was a rewards program, so each time someone would make a purchase they would earn points towards a free beverage. Now with the shop and the website getting a redesign, I had to do the same for all of the shop products. So I kept the same concepts in mind and gave it the same modern trendy persona. Once again bringing in the textures and keeping the colors constant no matter what the application.